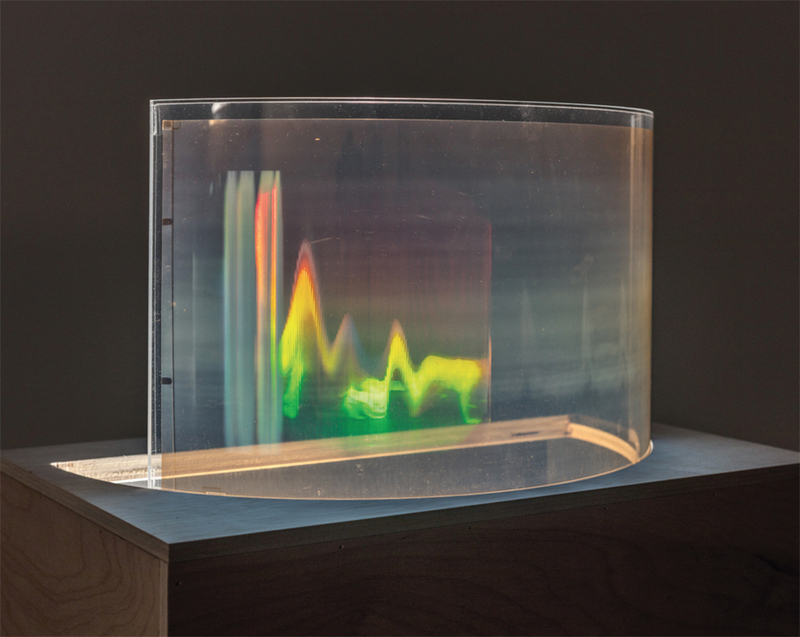 Simone Forti, Big Jump on Back, 1975–78, integral hologram, 56 3/4 x 20 x 13". 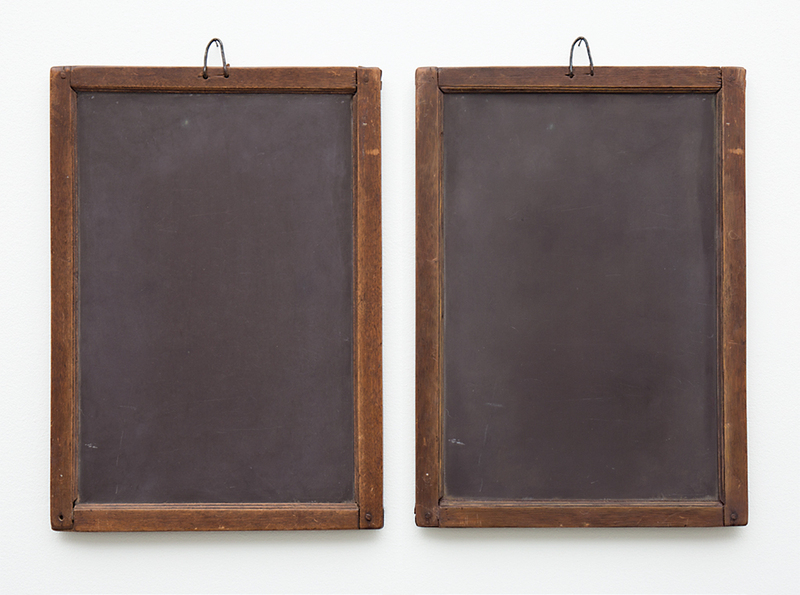 Vija Celmins, Blackboard Tableau #9, 2007–15, wire, alkyd oil, acrylic, and pastel, wood, found blackboard, each 15 x 10". 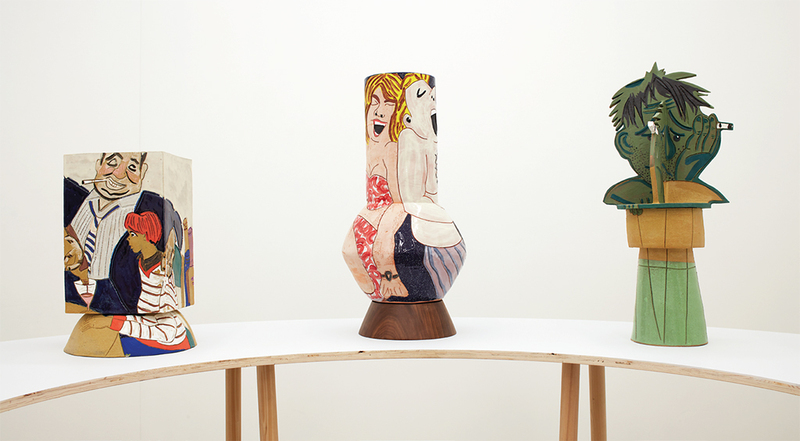 View of “Bari Ziperstein,” 2018. From left: Be a man!, 2017; No, we didn’t reap or plough—we just had a picnic in the field, 2017; The price of glasses of wine, 2017. Photo: Lee Tyler Thompson.